This set of pauldrons is crafted from plates of 18 gauge steel - they are riveted to a backing of thick leather strips to provide it with articulation. The inside of the armor is blackened.A gorget or breastplate with an integrated leather strap is required to support these pauldrons. A pair of steel buckles on top of the pauldrons is used for this connection. 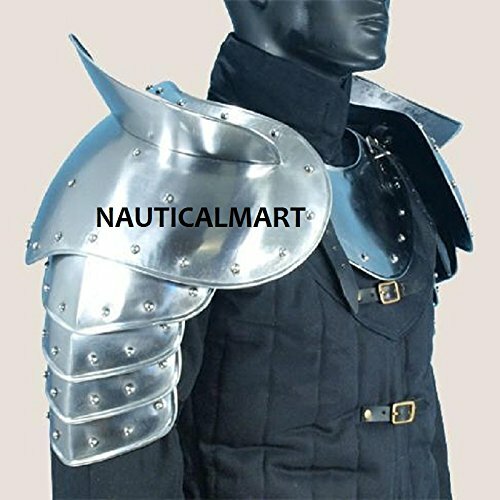 These other armor pieces are sold separately.The pauldrons are fitted around the upper arm with a pair of adjustable steel buckles and straps.